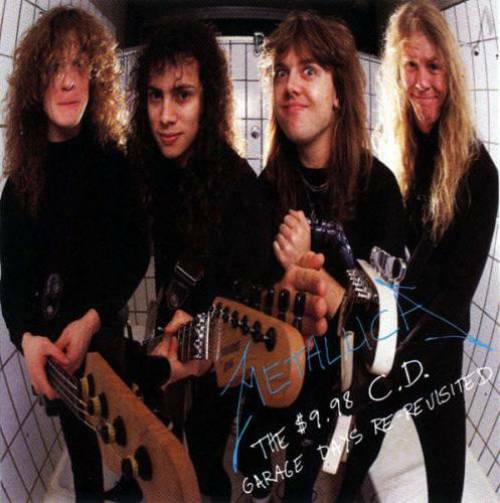 Metallica will reissue their 1987 collection, "The $5.98 EP – Garage Days Re-Revisited", on April 13. Metallica confirms the 2018 reissue will be available in a variety of formats. Metallica’s tenth release, “Hardwired…To Self-Destruct”, will compete for “Best Rock Album” at the Grammy Awards this weekend, while the track “Atlas, Rise!” is a finalist in the “Best Rock Song” category. The 60th annual Grammy Awards will be broadcast live on CBS from Madison Square Garden in New York City on Sunday, January 28 at 7:30 p.m. EST. Metallica will return to live action with a spring 2018 run across Europe that will begin in Lisbon, Portugal on February 1. Metallica were named the No. 6 Rock News Artist Of The Year as part of the 2017 hennemusic Rock News Awards.